At first glance the surfaces are plain – beige, grey, muddy yellow – and the titles (I love the whole world is one, another is Happy holiday) seem to mock our instinct to look for clues. But take a moment to slow your breath and much will be revealed in her work’s soft geometry. This is the mellowest company you will keep in a gallery. 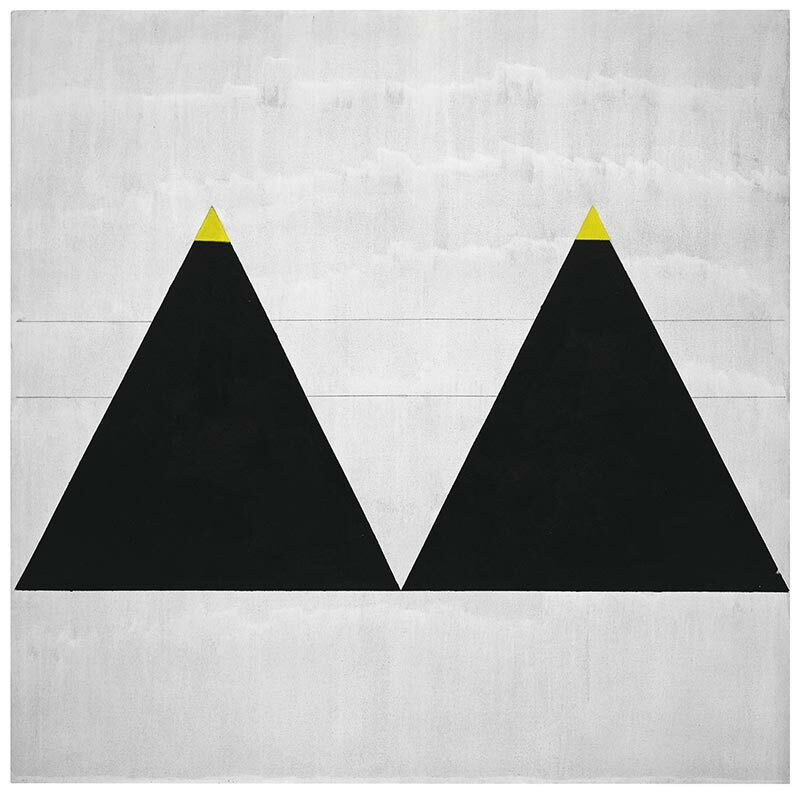 The exhibition runs chronologically, from Martin’s initial shapes in muted colours to her signature grids, which she started in the 1960s and stuck to for the rest of her life. 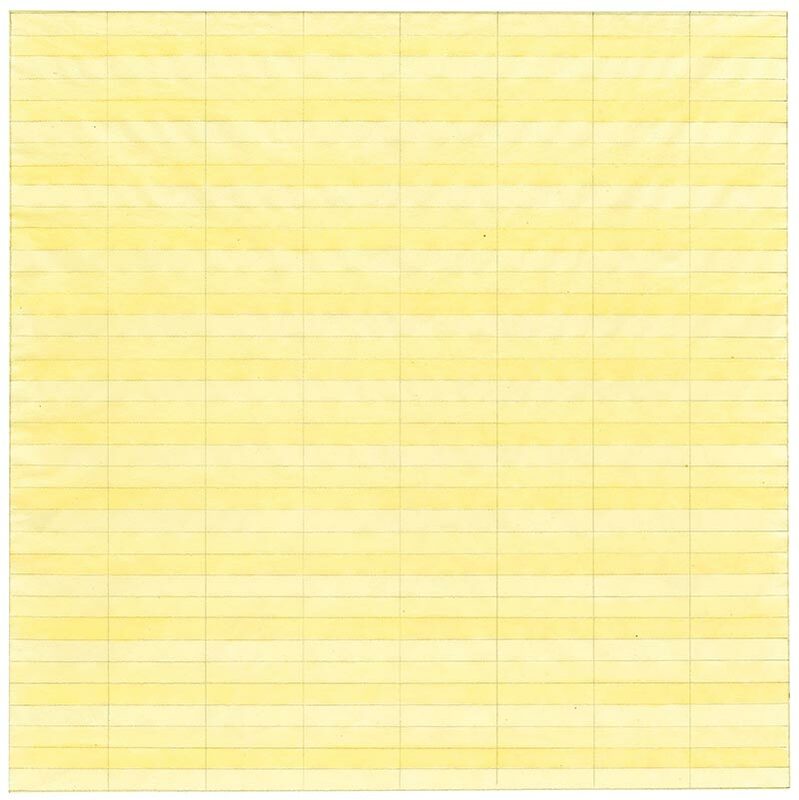 For a body of work that is so meditative, Martin’s art also has a distinctly obsessive streak: she used a ruler to create her lines and blocks, always trying to get them straighter, more exact. 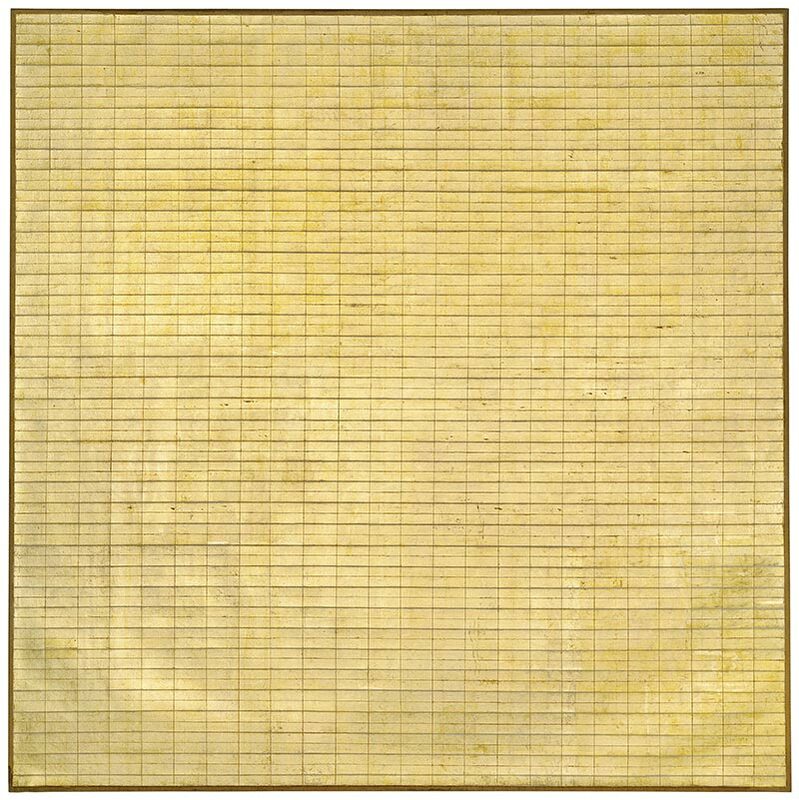 Many of the grid paintings have tiny repetitive patterns – it is as if you can feel her there, straining to get it just the way she wants it. Martin’s extreme desire for order on the canvas can possibly be traced back to her schizophrenia, from which she suffered throughout her adult life. Sometimes this struggle can be felt on the canvas, but at other times the same process created results that were nothing short of magical. Friendship is a large-scale canvas covered in gold foil, laid out in bright and deliciously dirty rectangles. It is still subtle, like everything Martin does, but the effect sends a shiver down one’s spine. A grey stone is another wonderful experience: the closely detailed grey surface is gently thrilling. More blocks of would-be dull colours follow in the next room, then a whole section of graphite grey. Eventually her obsession turns into a sort of worship, in a series called The Islands. These canvases are all white, over and over, surrounding you, and the effect is nothing short of elating. The paintings glow on the slightly darkened walls, and it feels like the problem Martin has been working so hard on has finally reached some sort of resolution. The answer, it feels like she is saying, is in the light. Rothko’s personal journey ended differently than Martin’s: he committed suicide at 66, while Martin kept painting into old age, passing away of natural causes in 2004, at the age of 92. In both retrospectives, Tate presented one additional room after their singular colour series. Rothko reintroduced light: subtle panes of silvery grey started creeping into his black canvases. Martin broke with her typically strict geometry in favour of bold blocks of purple, defiant lines of red, cheeky tips of acidic yellow. It is still precise and exact, but it feels less obsessed and more playful. It feels like the work of someone with nothing to prove and nothing to lose. 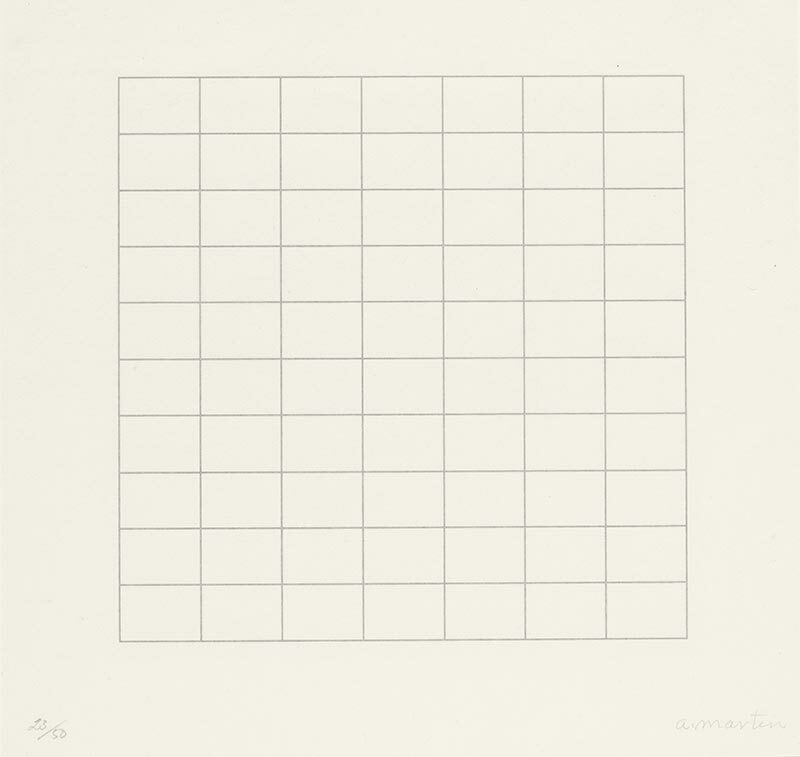 Agnes Martin is at Tate Modern, London, until 11 October.